From the moment I started consuming Shakeology, I mixed it it with various fruits and liquids to find the perfect combination of health and taste. 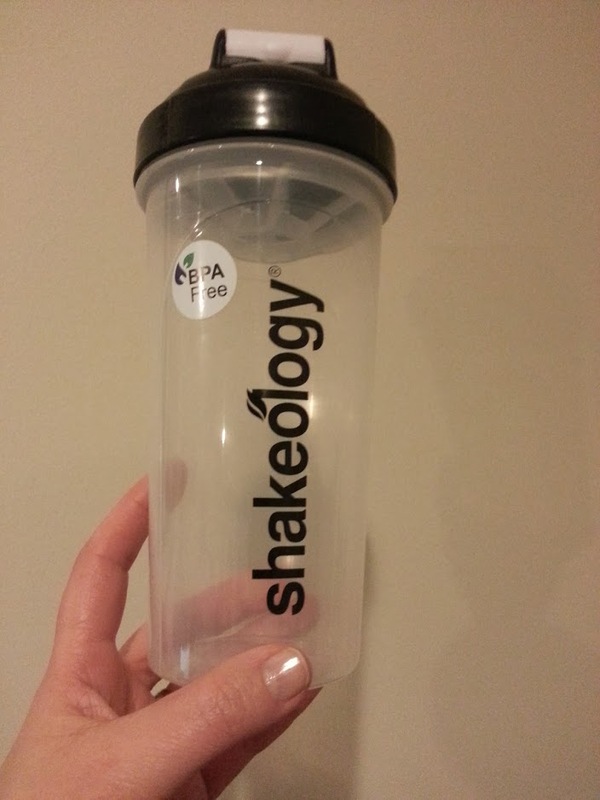 I was always amazed my coach could mix hers up with some water and ice and drink it straight – I just never tried…until she gifted me with my very own Shakeology Shakey Cup. I didn’t believe it, until I used it. And you know what…it was pretty great. Yes, I still love my Chocolate Vegan/Almond Milk/Frozen Banana/Scoop of Peanut Butter mix the best, and Tropical Strawberry with water, O.J. and frozen mixed fruit is another favorite, but this was surprisingly good, only 170 calories, and prepared in under a minute. Which is about how long it took me to drink it down..YUM!